"On a scale of 5, I will give them 4.5!" "We became one team. Techugo allocated the necessary resources to accomplish any task, no matter the difficulty. It is a testament to their commitment to customers, which distinguishes them f..."
"Powercode’s project manager Maxim is really skilful and professional. Quick to understand our wishes and transfer them to the developers, who performed quality work on both iOS and Android..."
"It is very responsive, fast and flexible. They are ready to get tasks from messenger, structure it and make it as a list of works." "I felt very comfortable working with DigiMark, we were practically one team and I am looking forward to start the next stage of the project. Besides, we have started discussing a new project..."
"I have worked with many dev agencies throughout my career and Nomtek is the best by far. They care about your success and take the time to really think about the right way to build things. T..."
"Good Job by the energetic team." "We are completely satisfied with choosing itCraft to create our solution. They are a team of professionals. Their experience and knowledge of designing, developing and implementing mobile ap..."
"I will continue to work with AppRoutes in the forseeable future because of the relationship we have built." "They are really great and they are friendly, they are patient too :D The code quality is really good and clean. We would like to hire Clover Studio if there is a project in the future becaus..."
"I will use them again for future projects. We were very happy with the level of expertise and help provided by KSS. 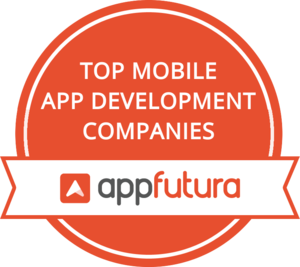 Their knowledge about the latest technologies to use and best business pra..."
"I can fully recommend YarMobile especially for people who are developing their first app. Easy and quick contact and always room for sharing ideas and negotiations."